Losing someone you care about can be an extremely difficult time, which makes taking care of the estate difficult. Once you have taken care of the items that family wants, and held that estate sale to get rid of anything valuable, then the entire estate needs to be cleaned out so it can be sold or moved into by other family members. During this trying time, you don't need to struggle through disposing of the unusable or needless pieces of your loved ones life can be a bit overwhelming. Anything that makes the entire ordeal of cleaning out a deceased loved ones home or business easier is worth considering. At Flat Rate Junk Removal we make cleaning out the debris from your loved one's apartment, home or business less stressful for you during this difficult time. All you have to do is give us a call, and we come and remove all that left over debris for you. Whether it is stacks of old newspapers, broken furniture in the attic or whatever, all you have to do is point out what you want removed and we will remove it for you. Our two man work team will carry out those bags, boxes, furniture and appliance for you and dispose of them properly. Since we take care of both residential and commercial estate cleanouts our one company can handle all of your junk removal needs for you, saving you from the hassle of dealing with several different junk companies at this trying time. When we cart off that unwanted material and junk from the estate we don't just dump everything into a landfill, we dispose of those items properly and then we recycle anything that is recyclable to save on the environment. And unlike other junk companies we don't charge anything extra for those recyclable items instead we charge one flat rate that covers everything. There is never any hidden charges that you have to pay once we have completed hauling away your junk you'll know the price right up front, because this is not the time when you want or need to be dealing with any additional or extra charges. Not only do we do estate cleanouts, but we will also clean out your home or business should be moving or selling the building. No matter what size the job is we will get it done for you as quickly and efficiently for you without you having to lift a finger other than to point out what you need and want to go. 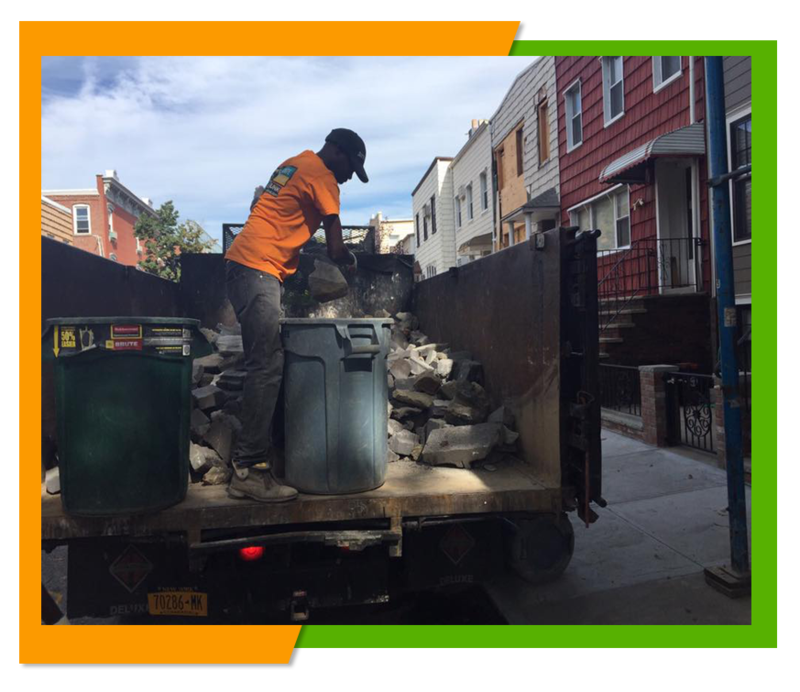 Our helpful and friendly two men crews are experienced at taking care of all types of junk and waste and our larger than average trucks are made to handle big loads making the entire process less stressful for you. 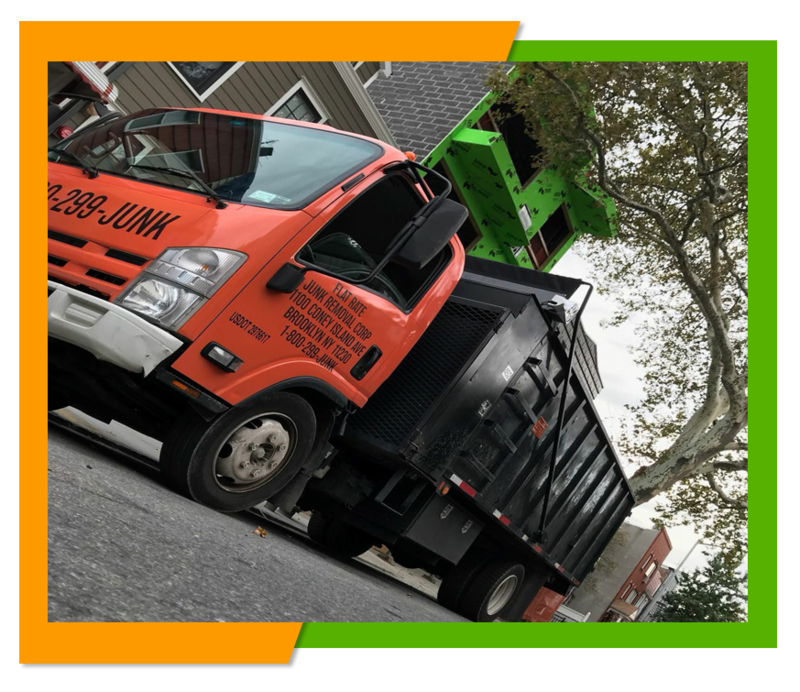 To learn about all of our junk removal services you can browse through our website right here at www.flatrate-junkremoval.com or you can speak to our representative about our services, ask for an estimate or schedule a junk removal appointment by calling us at 1-800-299-5865.